When it comes to getting a Sauna room, there are quite a lot of things to consider. After all, it is quite an expensive investment and hence needs one to be extremely careful while deciding on a particular Sauna room. Something basic but quite a useful thing to note here that there may not be any perfect Saunas for anyone. It seems to be a rather subjective choice and hence one needs to try evaluating what the particular Sauna has to offer to him and if that is in line with what they need. There are a few particular manufacturers that are impressive names in the industry, and have a considerable amount of variety to offer with the different types of Sauna rooms. The Amerec is one such manufacturer. In fact, it’s also one of the largest sauna manufacturers in the world, and offers a wide range of sauna rooms to its potential customers. The company believes in making use of the modern technology to manufacturer sauna rooms that are not only authentic, but also luxurious and stylish. 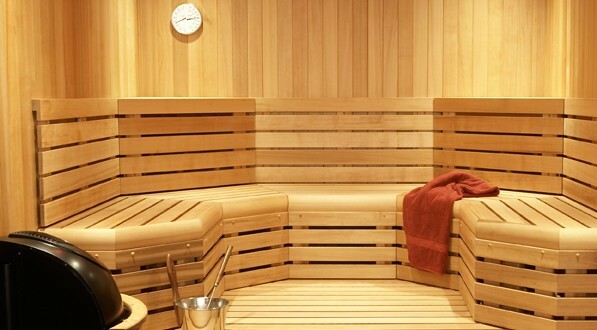 One particular sauna room Amerec is popular for is its Custom Cut Series Modular Cedar Sauna Room. One can say by having just one look at this particular sauna that quite a lot of work has went into making it. After all, as the name suggests, it allows the customer to customize its features according to their needs and preferences. Well, looks are probably one of the most important features of any sauna room, besides the comfortablity factor of course. However, in days when the focus on interior designing and remodeling the home to increase its value and make it more stylish, spacious and attractive is ever increasing, one can definitely consider the looks of a sauna to be as important as the level of comfort and spaciousness it offers. This Custom Cut Series Modular Cedar Sauna Room from Amerec comes with a lavish look, and is sure to delight everyone who has a look at it. Furthermore, you can customize its looks even more, to match the style of your home. When it comes to the looks, there don’t seem to be many better saunas than this one. This is a highly convenient feature of this sauna. A lot of other sauna rooms need a lot of work on the area to be able to construct them perfectly. However, this particular sauna room is perfect for constructing on an existing space, with hardly any work required to be done on the space at all. Red cedar finish that gives nothing but an excellent look to the surrounding. Comes with Pre-hung all-glass door standard of the size 24″ x 80″. A lot of other useful things like bucket, ladle, wall light, wall light, thermometer and so on. Summary : This is one of the best options out there if you are a lover of style and elegance, along with comfortability.